Wilt cabbage in a large pan of boiling water so you can bend the cabbage without breaking it. 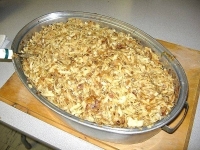 In a skillet brown the onions and rice in lard slowly. Take off stove and add meat, salt, paprika and pepper. Mix together. Put mixture onto leaves. Fold over neatly, but not too tight. 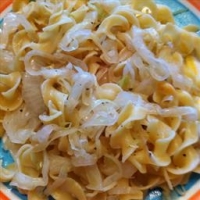 Put a layer of sauerkraut in bottom of pan you are going to cook them in. 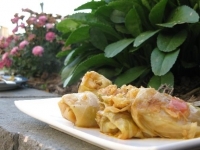 Put a layer of cabbage rolls, then a layer of kraut. Pour tomato puree over top of rolls. Add water up to the top of the cover. Cook 1 1/2 hours. Recipe categories: Main dish, European, Hungarian.